Do you want to know more about what you can do with the Microsoft Dynamics Marketing solution? 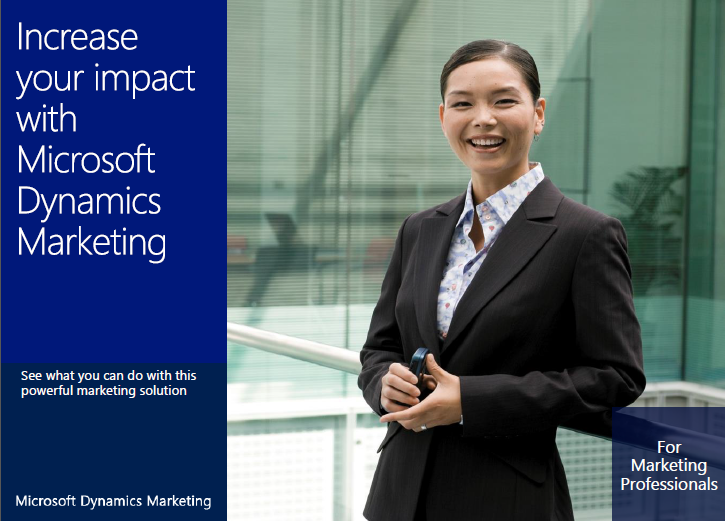 Check out the new eBook: Increase your impact with Microsoft Dynamics Marketing. This eBook gives you a quick run-down of the powerful tools in Microsoft Dynamics Marketing that you can use to manage leads, plan and execute campaigns, and monitor their performance. Download the eBook from the Microsoft Download Center. To find more help topics about Microsoft Dynamics Marketing, go to Marketing Help & Training.